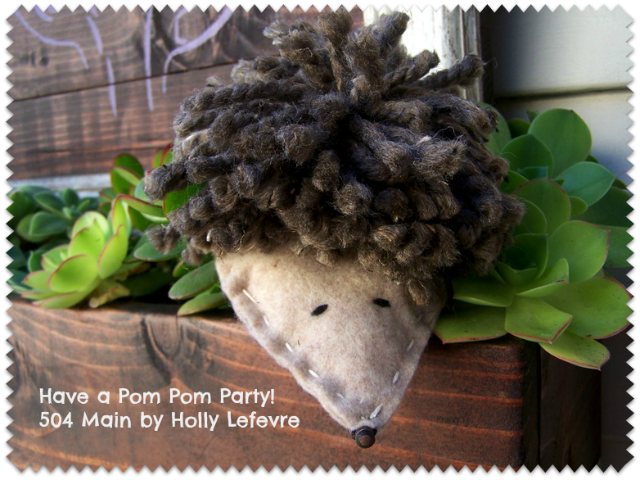 504 Main by Holly Lefevre: Join Me For a Pom Pom Party! Join Me For a Pom Pom Party! When I get together with my friends, we love to try new projects. and throw a little pom pom party for my friends, you know I said "YES!" I have loved pom poms forever. I remember making them when I was a kid. I remember wearing them on my tennis shoes and in my hair. Pom Poms are simply fun...you really cannot help but smile! 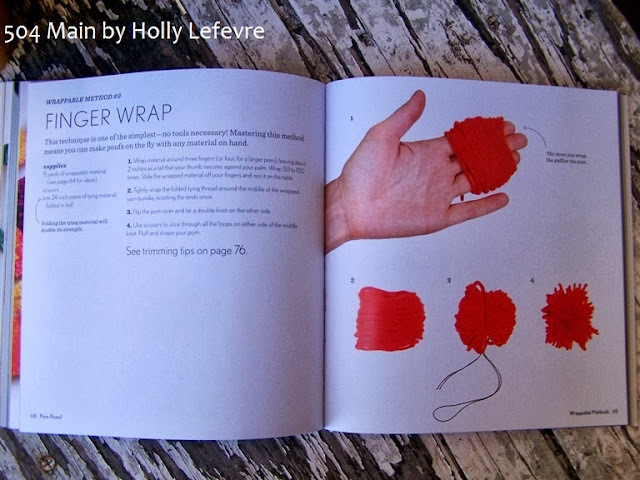 When I received the books, I immediately fell in love - this book is adorable and packed with projects that appeal to a wide audience of readers and crafters (and non-crafters)! Pom-Poms! : 25 Awesomely Fluffy Projects. Better yet, there are projects for everyone and every tastes and pom pom making ability in the book. 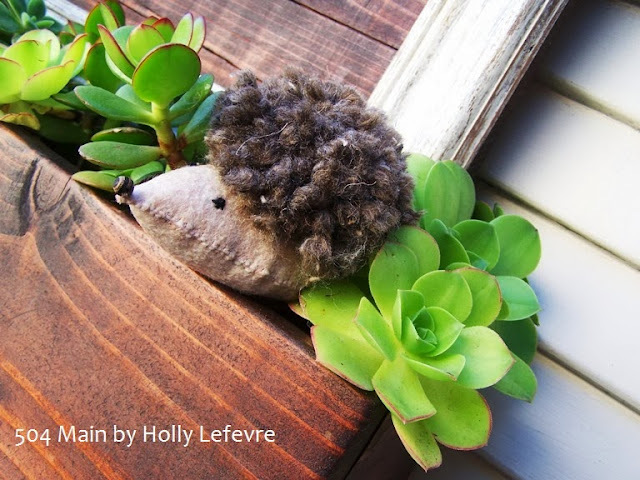 You can make hedgehogs, headbands, scarves, wreaths, flowers, necklaces, and more! You know what else I love...I can make pom poms with my 6 year old! and we can create fun creatures and decor. I decided to throw my little soiree at our local coffee hangout, Crema. (OK, every day is coffee day, but Wednesday is the "official" coffee day). 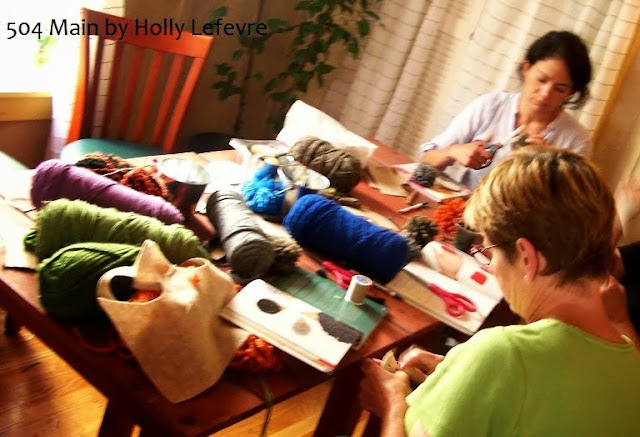 coffee, pastries, friends, and a fun craft! and everyone wanted to make the cute hedgehog - the covergirl! 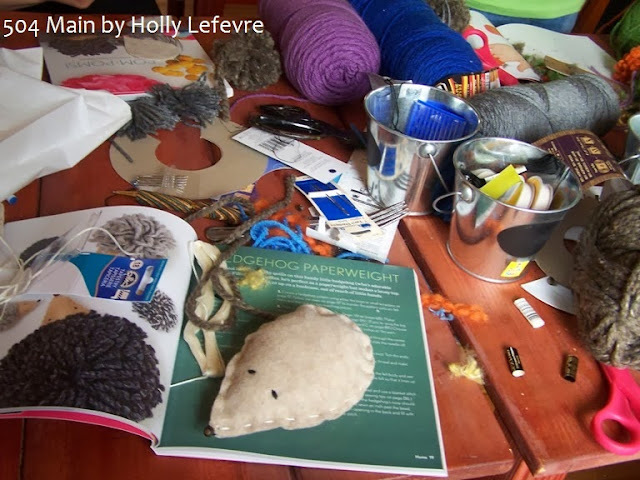 With that in mind, I headed to the store and grabbed an assortment of yarns and felt, and other supplies to help us create hedgehogs and pom poms! We all tried different methods of making pom poms - who knew there were so many! We tried a circle template, a fork, and the finger wrap method. and that is what we used to create the bulk of our pom poms. We all had so much fun, that there have been requests to have another pom pom party! I am totally planning on it! I feel inspired to create an "endless" pom pom garland for my Christmas tree! 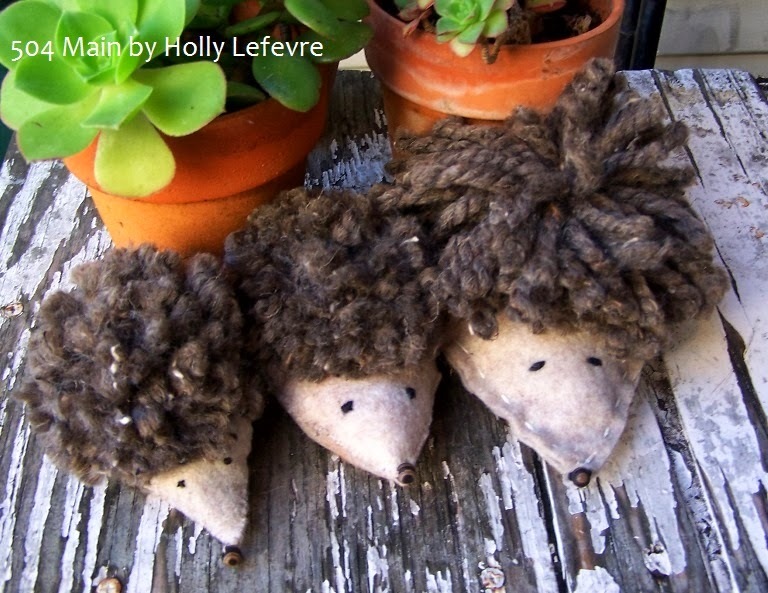 See our little family of hedgehogs! Do you love pom poms like I do? Well, I encourage you to throw a pom pom party...it brings out the FUN in your friends! And is a great reason to get your friends together! 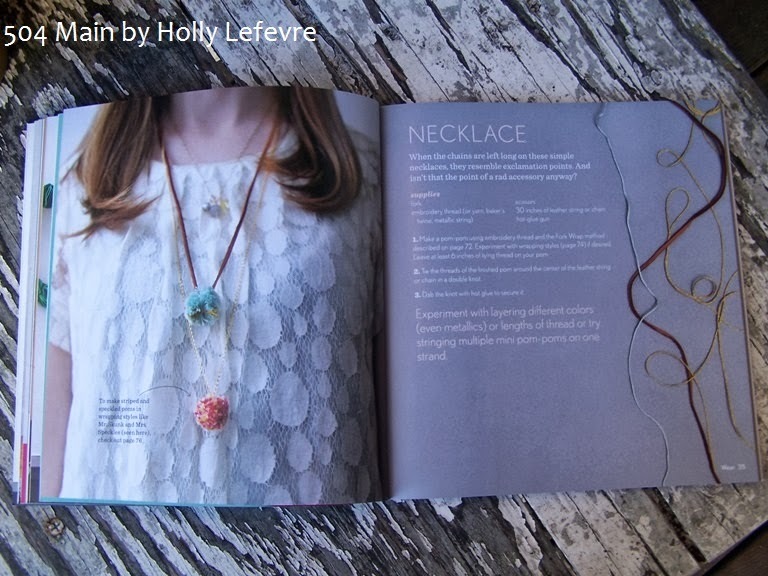 would make a great holiday gift alone or paired with some great yarn! Be sure to visit Quirk Books and peruse their totally fun and unique library of titles. You can also follow them on Twitter and Pinterest for more inspiration! 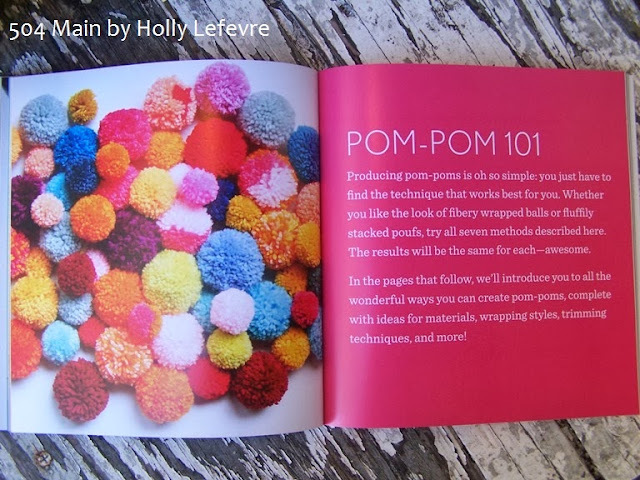 This post is written and created at 504 Main by Holly Lefevre disclosure: I received multiple copies of the Pom Pom book to present to my guests and compensation to facilitate throwing the party. What a fun book! 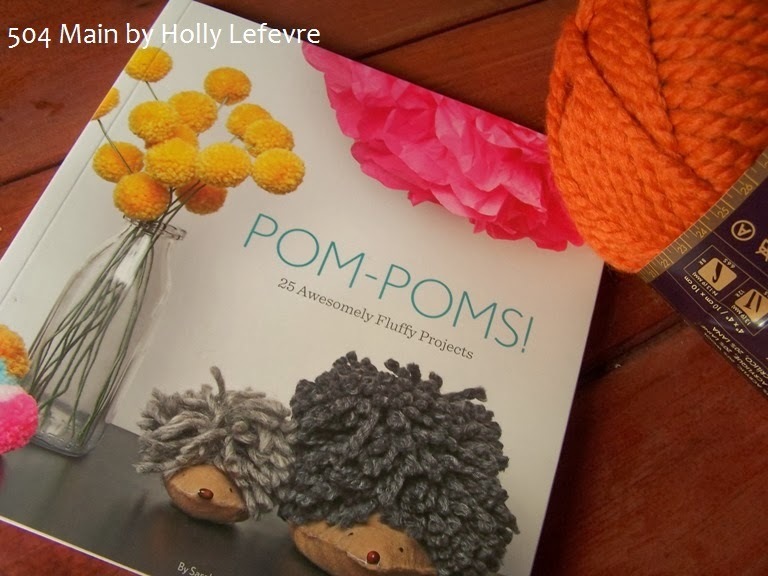 I didn't realize pom poms could be so versatile and those little hedgehogs are so adorable! I looked at the preview images on the Amazon listing and added it to my wish list, although I may succumb and treat myself to it before Christmas rolls around! Sounds like you have one cool coffee group! Gosh I love that book! And your pompom hedgehogs came out absolutely adorable!! Let's Make Some Pumpkin Soup!